Move over Bing, there's a new favourite to share that spot in Isabelle's heart and that is the very popular PEPPA PIG! I loveeeee peppa pig. It was a sad day when Oliver stopped watching it, when the bedcovers come off and the rug got put away but fear not peppa's back in our life's now thanks to Isabelle. 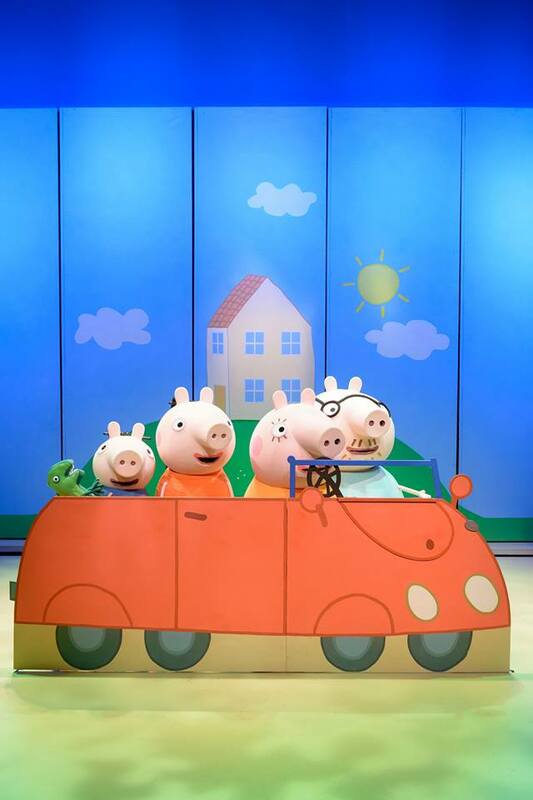 We are absolutely delighted to be going to see Peppa Pig's Surprise, live in February and thrilled to have been chosen to host a giveaway here too for a family ticket so a lucky winner can also enjoy the magic of Peppa pig on tour! New sing-along songs and music will again be provided by BAFTA award-winning Mani Svavarsson. Matt Lewis is lyricist, Simon Scullion is designer, Matt Haskins is lighting designer, Ian Horrocks Taylor is sound designer and Andy Booth is music director. There's bubbles! Isabelle absolutely loves bubbles. How great does this show trailer of a past show look? 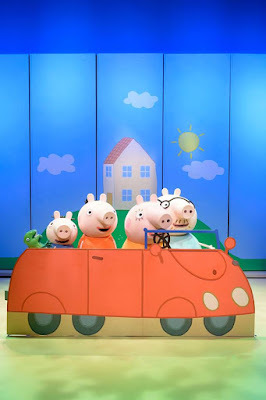 A family ticket is for four people, minimum one adult to see Peppa Pig’s Surprise tour live. The tickets are non-transferable and are subject to availability. There are no cash alternatives. Accommodation or travel are not included in this prize. This competition EXCLUDES the West Christmas run season, 18 Dec to 17 Jan but is open to all other tour dates in 2016 subject to availability at the venue chosen. The winner will be randomly selected using Rafflecopter and will be emailed to notify. The show's called Peppa Pig's Surprise. My favorite bit in Peppa Pig is when Mr Bull yells 'Dig up the ROAD!' it just makes me laugh. I love to see my kids faces when the Peppa Pig Theme Tune comes on! I love that my sons both like to watch it so it gives me 10 minutes to get some housework done!! My girls would love this so much! We love Peppa pig! 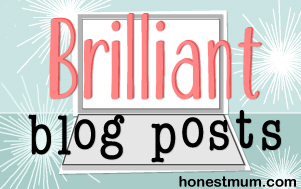 Peppa pigs sursprise - We love Peppa been watching since my boy was small all through my three some episodes make me laugh so much. The show is called "Pepper Pig's Surprise"
I love how they implement ton's of adult jokes into it. My granddaughter is mad on peppa pig. Peppa Pig is my favourite because she keeps my granddaughter amused for hours. 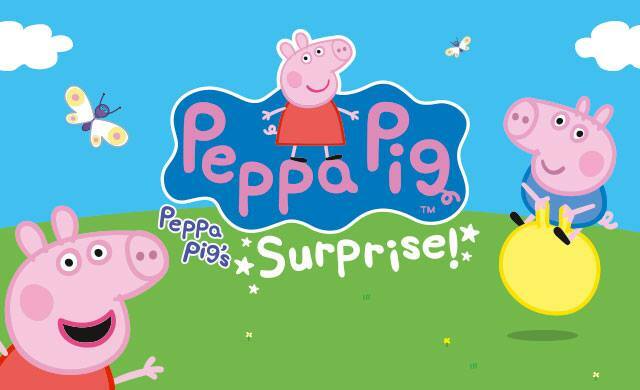 The new show is called Peppa Pig's Surprise. 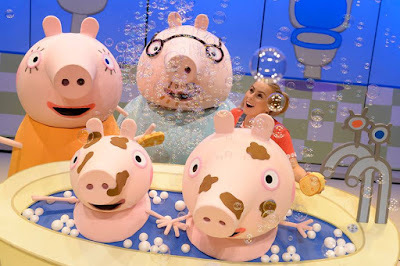 The new show is called... Peppa Pig's Surprise Live! I like that she entertains my daughter which I get some housework done. Madam Gazelle is good, and she doesn't let them all get away with playing up!